Dimensions 0 by 5.50 by 8.25 in. In the book behind the Academy Awardâwinning film, we first meet Michael Oher as one of thirteen children by a mother addicted to crack. He does not know his real name, his birthday, or how to read or write. He takes up football, and school, after a rich, white, evangelical family plucks him from the streets. Then two great forces change him: the familyâs love and the evolution of professional football itself into a game in which the quarterback must be protected at any cost. 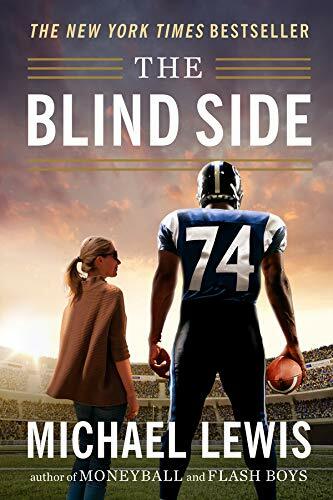 Oher becomes the priceless package of size, speed, and agility necessary to guard the quarterbackâs greatest vulnerability: his blind side. About: Follows one young man from his impoverished childhood with a crack-addicted mother, through his discovery of the sport of football, to his rise to become one of the most successful, highly-paid players in the NFL. About: "Lewis has such a gift for storytelling . About: The book behind the Academy award-winning film starring Sandra Bullock and Tim McGraw―over one million copies sold. About: In football, as in life, the value we place on people changes with the rules of the games they play.